05. Creepy people are creepy for a reason. Children are automatically creepy and are much more prone to accepting contact from alien life, hostile or otherwise. 06. Sometimes humans are the most alien of all. 07. Never question someone immortal, nearly immortal, or just bloody old. Especially if he has really great hair. Also posted are some interesting limericks. I keep trying to think deep thoughts but this old spacer and his rusty ship are all I can manage. This semester I have added to Hampshire’s long list of student groups: The Hampshire College Space Program. I’m quite excited for the club to start meeting (I attracted members by asking “Do you want to go into space?” so everyone in the group answered yes to that question… really I think that about sums up my expectations.) Additionally exciting is the fact that every single Hampshire College Signer sweatshirt will have “The Hampshire College Space Program” on it. As a college we officially have a Space Program! I wish I knew how to bounce up and down in excitement via the internets. I did learn a little bit from the process of creating this group which I feel the need to share with everyone. Approximate answers from the official student group recognition form submitted to the college last spring. Group Mission Statement: We love space. We love learning about space. We want to bring a love of space to the community at large. We want to go into space. 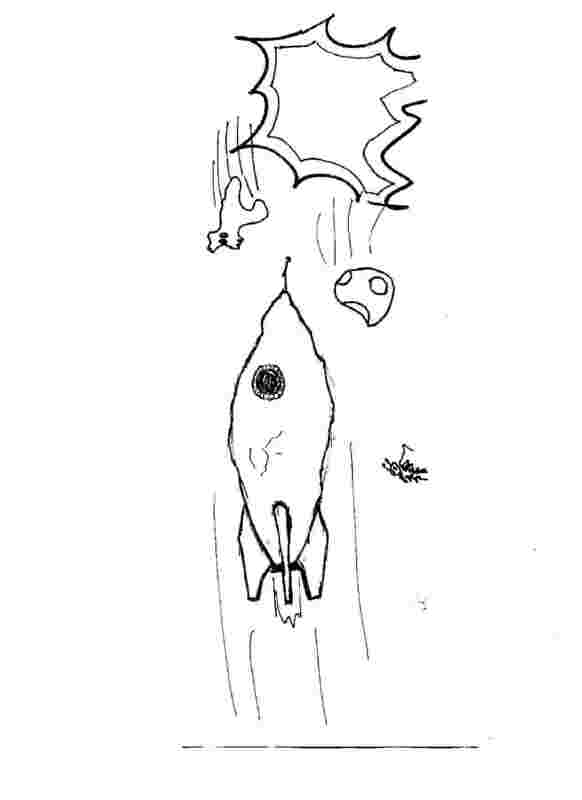 Things you want to accomplish: Building a rocket and going into space. Now, I thought this was all very amusing seeing as how new student groups are given no more than $300 (and the chance of receiving that much funding is fairly slim.) But I guess Hampshire College was not amused. They demanded Safety Write-ups, Faculty/Staff advisers, Waivers for every club member and basic bureaucratic nonsense because I believe that they actually believe we might be attempting space exploration on a budget of less than $300 dollars. China Miéville is a brilliant writer. This was not a difficult conclusion after reading Perdido Street Station. “New Crobuzon’s technological capabilities are decidedly steampunk: difference engines, advanced clockwork “constructs”, helium-balloon airships, firearms, primitive photography and coal-powered trains and ships all abound in the three Bas-Lag novels. I’m one of those people who runs around imagining a fantasy world unfolding over mundane scenery. Anything to add richness or feed me with ideas is welcome, even sought out. I can not get enough of Miéville. Perdido Street Station was amazing, and then I read The Scar which was not quite as good, but still filled with amazing imagery. Iron Council, the latest book set in this world of Bas Lag, was a veritable travel journal across the continent and back. The ideas and images were amazing and terrifying and new. 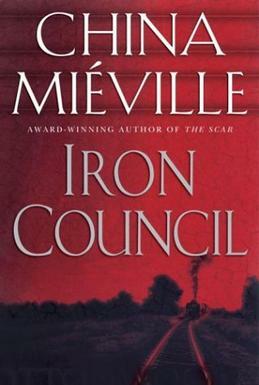 Despite this glowing recommendation of Miéville’s writing, I don’t actually recommend Iron Council. If you’re a casual reader of fantasy the beautiful and alien images in his writing won’t be enough to string you along for very long. When I said it read like a travel journal, I mean it. If I actually told you the plot of the book it would spoil the first two hundred pages of people running around to find it. It picks up around the last fifth, as actual life-threatening motivation is introduced to the characters. The book is also plagued by one of Miéville’s major flaws — the inclusion of what are essentially gamesmaster controlled NPCs. These overpowered deus ex machinas characters drive the plot forward when the protagonist can’t because he’d be flattened by some terrifying slug monster from beyond reality or the army of terrifying fish-men. It’s a problem in The Scar and a worse problem in Iron Council. When these characters step in, it seems almost like the author is rolling dice to figure out what happens next, because their actions are sometimes so random and unexplained or overpowered compared to the more mundane elements of the world. It rarely makes much sense. If you haven’t read any Miéville, I recommend starting with Perdido Street Station, though folks who read The Scar first seem to recommend that. If you desperately need more, I suppose you could read Iron Council but don’t say I didn’t warn you. There are times where you’ll have to force yourself forward through the beautiful-described plodding non-plot. At this point, I don’t expect any brilliant stories from Miéville, but if he wrote a Bas Lag codex or encyclopedia, or other supplement to a role playing game, I’d buy it in a heartbeat. Hello blog, today I am introducing myself to you, so that we may better our relationship in the time ahead. Now, as this is an introduction, I will try to keep this brief and completely inane in substance. While talking with a friend, the concept of “underground” came up. You know the kind, if your in Russia and part of some illegal group, you are part of the Russian underground. 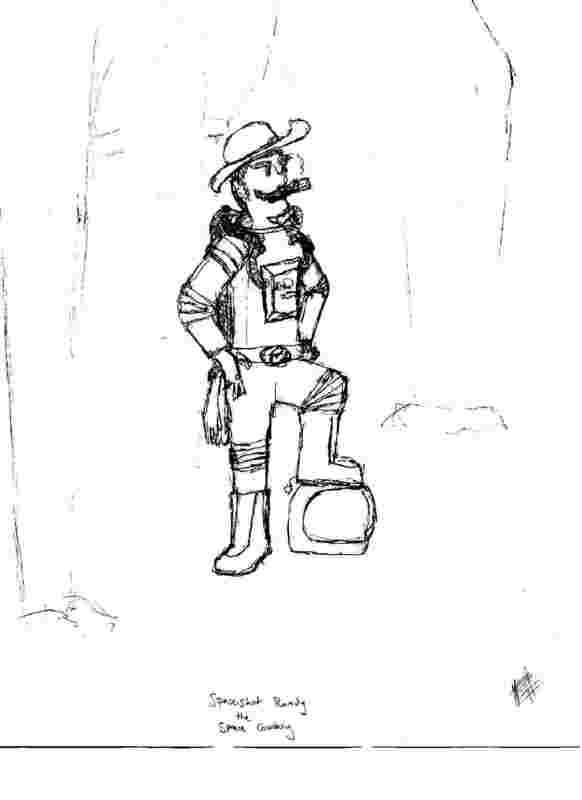 Well, the problem was that we were talking about space – someone was part of the Space Underground. I’m sure you, being the intelligent and astute blog reader you are, can see the problem with this situation! Someone in space is suddenly underground, which is just silly. Sure, the sort of underground we are referring to does not literally require a ground, but lets be serious here for a moment. It just sounds silly. This, my friends, is why I propose we come up with a new term for less then legal spacefaring communities. Just remember that a few good ones are already in use. We don’t want some private eye following up leads in the subspace. He could get hurt by some subspace traveling ship, or the extra mass of the transformers forming a pocket in the stuff. No, we want leads to be followed in a safe enviornment that has a memorable and sensible term attached to it. Underspace sounds like your under garments had some extra room, and you are storing things in it – like the extra mass of a transformer. Underplace just sounds like unimaginative Gnomes were bored while naming locations. Darkspace? Illegalfunland? Legitimatebussinessventure? Even Black Market is silly when Space precedes it! No, these just wont do! In truth, dear reader, I have no idea how to solve this problem. I can only hope that the zombie apocalypse wipes us all out before such a time as to save us all the embarrassment of living in a space with a space underground. Unless, of course, any of you have ideas. It’s about 2,000 words and took me three weeks to find the right voice for the ‘first’ draft. It went through several different perspectives until I found one that compelled me actually to write to the end. It’s definitely still a draft, but I did it. I’ve started calling it “Rico Marte,” which is (according to Google Translation) Spanish for ‘rich Mars.’ If you want to get all over my case about appropriating languages I don’t rightfully know, please be my guest. But then help me figure out how to do it better. I’d even let you read the story. Anyway, I did it. Now I’m going to edit it. Don’t they say 90% of the work gets done in 10% of the time, and the other 10% of the work takes 90% of the time? Scary thought.